Learn SAP2000 and ETABS using real-world civil engineering projects. 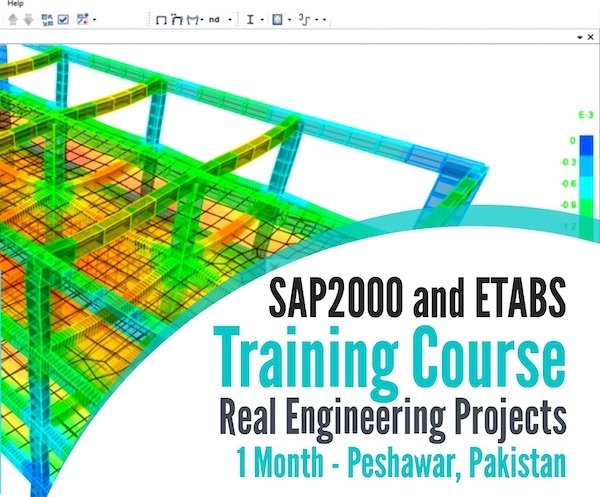 SAP 2000 and ETABS Training Course is designed for beginners and fresh graduates in Peshawar Pakistan. Class Timings: Timings will be decided as per students' availability. SAP 2000 and ETABS Training Course teaches you how to use SAP2000 software for structural analysis and design of residential building. Unlike other courses that are available on internet which only teach you tools of the program and not the actual procedure of the design and detailing, this course will teach you these things along with all the necessary tools. SAP2000 is intended for use on civil structures such as dams, communication towers, stadiums, industrial plants and buildings. Once you go thorough this course, you can use this software for structural analysis and design of any kind of civil engineering structure. 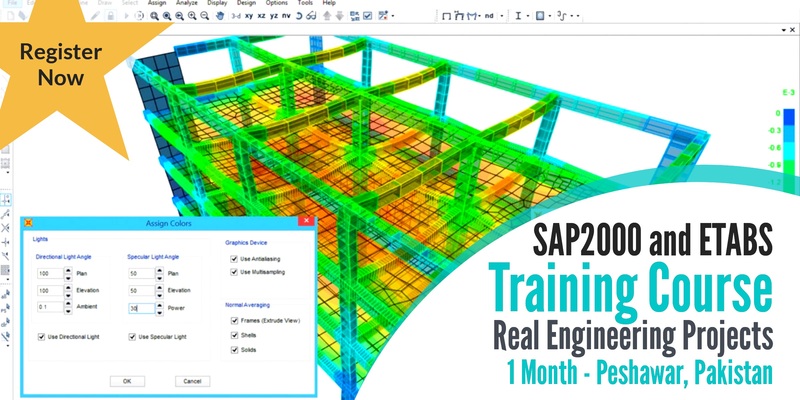 Learn structural analysis and design of a residential building using SAP2000. 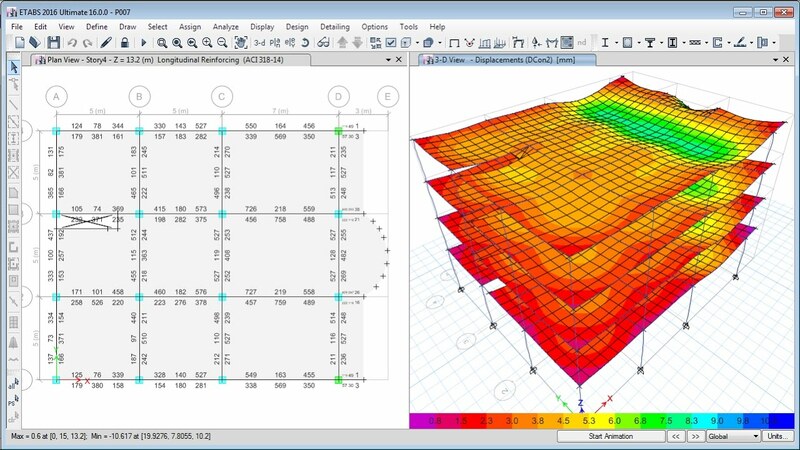 Analyze and design any kind of civil engineering structure using SAP2000. Export the designed data to excel for further calculations. Do preliminary design of structural members. Calculate lumped mass, base shear and storey shear. ETABS is a highly efficient analysis and design program developed especially for building systems. It is loaded with an integrated system with an ability to handle the largest and most complex building models and configurations. 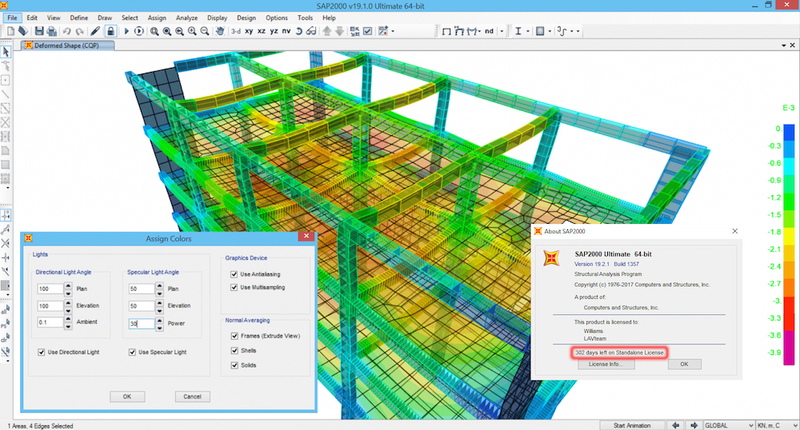 The software has powerful CAD-like drawing tools with a graphical and object-based interface. It increases the productivity of structural engineers. It saves a significant amount of time and money over the general purpose programs. Basic knowledge of computer and structural design. Computer/Laptop having SAP2000 and ETABS installed. Civil engineering students who wish to learn SAP2000 for structural analysis and design. Civil engineering graduates who wish to pursue their career in structural analysis and design of buildings. The course is designed for civil engineers, architects and designers to generate highly efficient and cost-effective design models. The course is also open to anyone who is willing to learn ETABS.